It’s Tuesday Night Somewhere is the online cooking show that is actually getting people into the kitchen and cooking for their families. 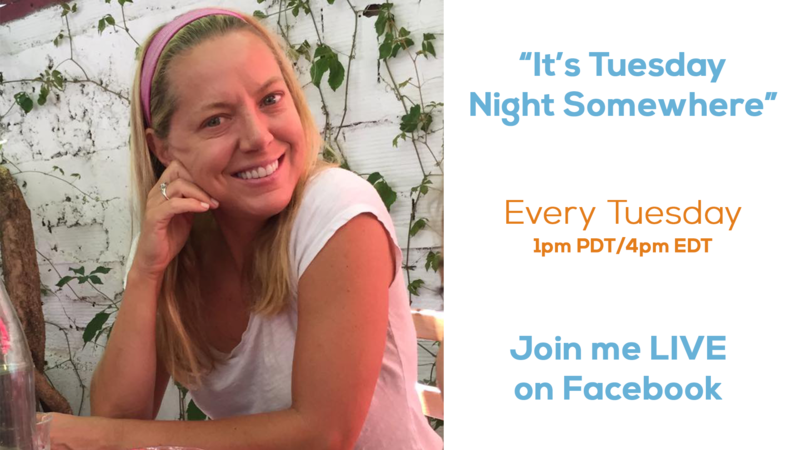 Melissa shares easy weeknight dinner recipes weekly, and cooks them LIVE on Facebook. The average American household spends $1,000 a month on groceries. In her new FoodNetwork.com web series “Smart Carts: Winning the Supermarket” (foodnetwork.com/smartcarts), Melissa helps you make the most of your money with her tried-and-true strategies for shopping the grocery store with budget, time, and health as her top priorities. Aisle-by-aisle, Melissa offers quick and helpful tips on finding value and quality, stretching your budget and getting the most out of every ingredient. Get Melissa’s top five tips in eight categories: produce, meat, dairy, freezer, organic, gluten free, budget shopping, and efficient store navigation. Melissa shares her strategic, step-by-step approach to combatting picky eaters in this first-of-its-kind web series. 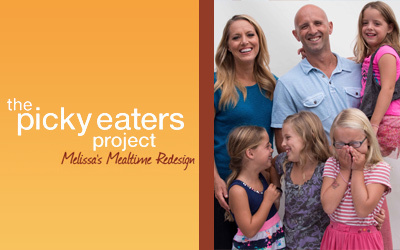 With a promise to make eating together and building nourishing habits less stressful and more fun, “The Picky Eaters Project” is an 8-week, go-at-your-own-pace, cumulative program created by Melissa to tackle picky eating – one step at a time. Filmed at the d’Arabian house just outside San Diego, the series features the entire family as Melissa leads her four young daughters (each with her own likes and dislikes, of course) through the program. Just as the best diets aren’t “quick-fixes,” Melissa’s solutions focus on lifestyle change where the priority is not choking down a bite of broccoli but rather setting up healthy relationships with food and mealtime. Read more about the series here. On her popular cooking series, stay-at-home mom of four Melissa d’Arabian shows viewers how to incorporate creative and tasty meals into their budgets by sharing her tried-and-true recipes as well as her countless tips to save time and money in the kitchen. And, in every episode, she keeps her $10 promise: four people, ten bucks, infinite possibilities. Truly demonstrating home cooking at its finest, Melissa prepares satisfying yet affordable recipes perfect for weeknight family dinners, weekend entertaining, and all of life’s special moments. 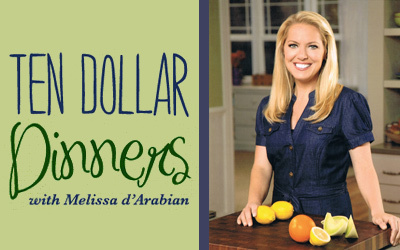 ‘Ten Dollar Dinners’ premiered in August 2009 as a result of Melissa winning season five of The Next Food Network Star. Whether you want to trim your waist or shave off a few sizes, ‘Drop 5 lbs with Good Housekeeping’ offers easy and satisfying ways to lose weight. 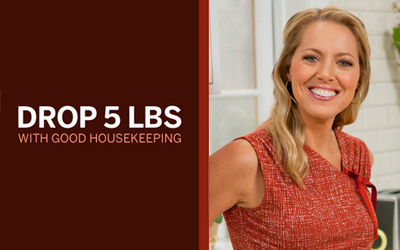 Based on the popular column in Good Housekeeping, this lifestyle series is packed with dozens of slimming recipes created by host Melissa d’Arabian along with time-saving cooking and shopping tips, fat-burning exercises, dining out do’s and don’ts, and more from a nutritionist, a fitness expert and food correspondent Aarti Sequeira. If you make small dietary and lifestyle changes, ‘Drop 5 lbs with Good Housekeeping’ promises big results. Premiered January 2012. Thousands of hopefuls compete for a spot as a finalist on this long-running Food Network competition series. 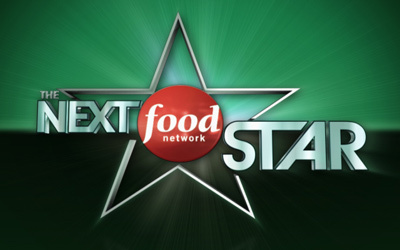 After weeks of grueling competition to see who has what it takes to be ‘The Next Food Network Star,’ one winner receives the ultimate prize: his or her own Food Network series. Melissa competed on and won season five in 2009. She has since appeared as a guest judge in following seasons. Ever wonder what the biggest food stars and chefs eat in their free time – when they’re paying? 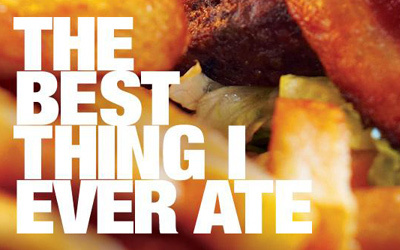 Find out on ‘The Best Thing I Ever Ate’! It’s the ultimate guide to the country’s most amazing meals, eats, and treats as told by the pros who spend their lives obsessing over food. 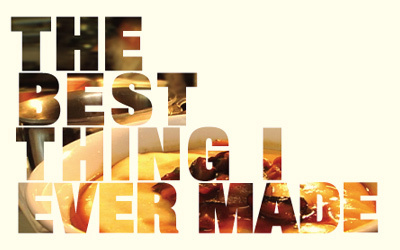 From a barbecue sandwich worth driving over 1,500 miles for to a cannoli so good that it completely healed a bad breakup, this series features your favorite food celebrities offering a taste of the things you must try before you die. “One Pot Wonder” – Watch as Melissa cooks up a delicious and simple Snapper with Fennel, Onion and Tomato. “Bring the Heat” – Watch Melissa cooks up a pot of Spicy Mussels with Chorizo and Wine. 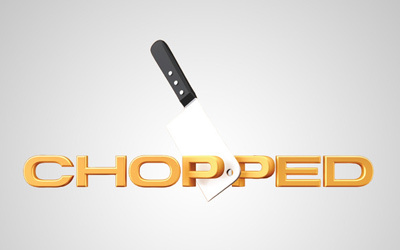 Winners of the hit series Food Network Star (Melissa d’Arabian, Aarti Sequeira, Jeff Mauro, and Amy Finley) compete to see who can beam brightest in the infamous ‘Chopped’ kitchen. 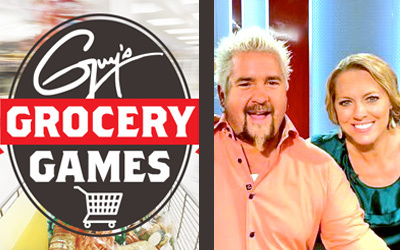 Cooking for the powerhouse panel of Bobby Flay, Giada De Laurentiis and Alton Brown, the competitors must be ready for whatever they find in the notorious baskets. 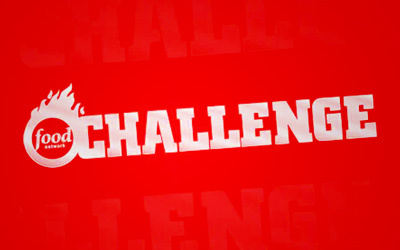 With $10,000 going to one Star’s favorite charity, a lot is riding on this intense battle. 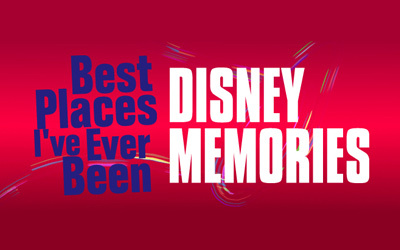 The stars align as Travel Channel’s Samantha Brown, Food Network’s Melissa d’Arabian, HGTV’s David Bromstad, Cooking Channel’s Roger Mooking, DIY Network’s Matt Blashaw, and GAC’s Nan Kelley come together in Disneyworld to relive their favorite memories and create new ones too! In this special episode of ‘Best Places I’ve Ever Been,’ Melissa is joined by her husband and four daughters for a magical, princess-filled experience unlike any other. It’s a battle of the sexes in this special episode of ‘Food Network Challenge’ where three female Food Network stars (Melissa d’Arabian, Aida Mollenkamp, and Sunny Anderson) face off against three male Food Network stars (Michael Symon, Aaron McCargo Jr., and Adam Gertler) in the ultimate All-Star Grill-Off. They have three rounds to please both the mystery clients and the discerning panel of judges. The $10,000 grand prize is be donated to charity. Watch It: Here’s a clip.